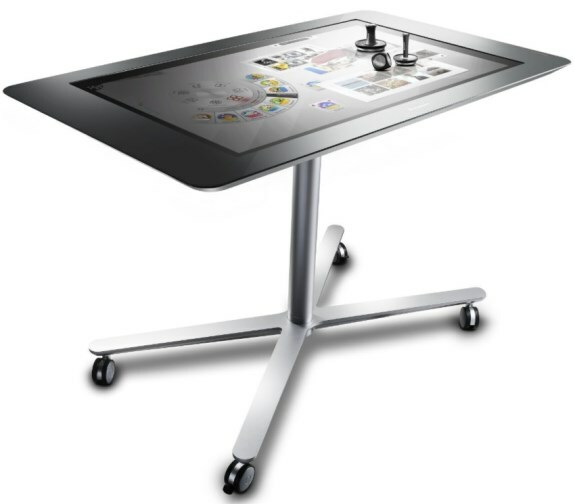 One of the things Lenovo has on display at CES is the 27" IdeaCentre Horizon Table PC. This device is basically an ultra-sized tablet designed to be used on a flat surface like a table, it allows multiple users to gather around and interact with the 10-finger 1920 x 1080 pixel touchscreen. The device runs Windows 8 Pro, it features an Intel Core i7 "Ivy Bridge" processor, up to NVIDIA GeForce GT 620M graphics, up to 8GB DDR3 memory, up to 1TB HDD (optional SSD), built-in stereo speakers with Dolby Home Theater v4, 802.11n WiFi, Bluetooth, 720p webcam, USB 3.0 and a 6-in-1 memory card reader. The device features a built-in table stand and has an integrated battery with a battery life of up to two hours. 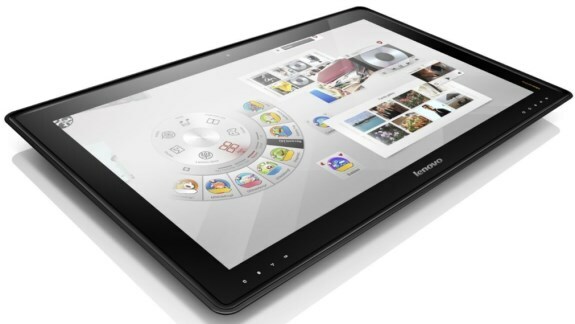 Lenovo's Horizon should become available by Summer 2013, with prices starting at $1,699.